I was recently going through all my field photographs from Patagonia while putting together some material for a guidebook and found a nice example of an armored mudball. Back in February I posted a geopuzzle Friday Field Foto showing a situation where just the armor was left, but the mud had eroded out. Today’s example is a more straightforward example. 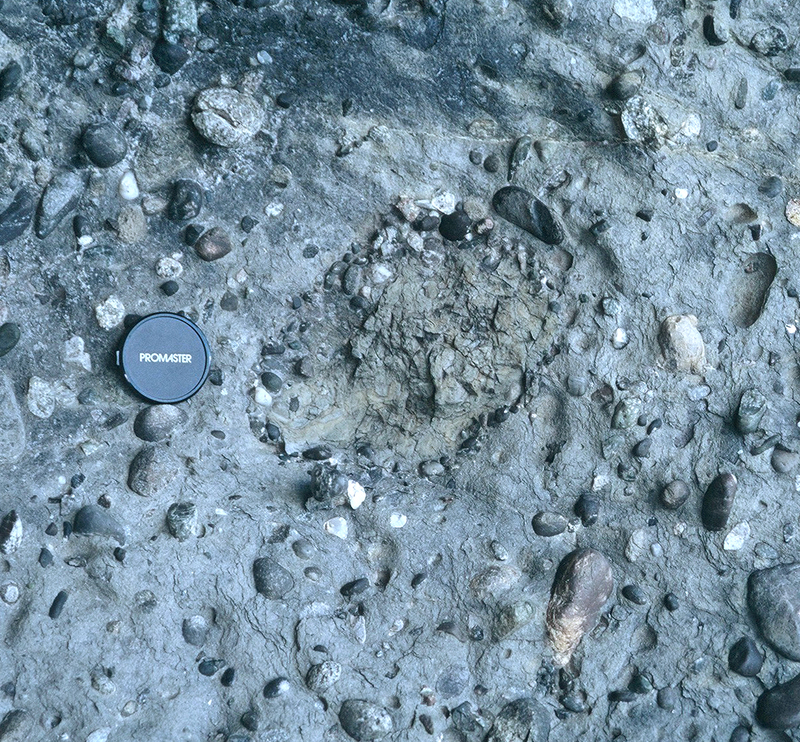 This is within a mixed mud-silt-sand matrix-supported conglomerate in the Cretaceous of southern Chile. This is within a complex of clastic injectites, which you can read about here. ← World Science Festival – Why only one Earth scientist? I enjoyed your site very much. I came across what I thought might be armored mud balls in Aroostook County Maine along a river bank. Could these be recently formed? Or am I barking up the wrong tree? TGilley … thanks … yes, indeed, they have been recognized in many modern or geologically-recent sedimentary environments. At the bottom of that post are some links to learning more about these things.